– a place where our Expanded Self and inner guidance may lead us on a profound journey of heart/spirit/body/mind awareness, empowerment and self-healing. Experience the gift of master practitioner Rich Goodhart and let the Sound take you to the Source – let it feed your soul. Featuring a wide array of exotic and rare world instruments, including the primal earth gong, a collection of stunning Himalayan Singing Bowls, flute, dousongoni, bouzouki, drum, voice, melodica, sanza, shakers and the one and only Cosmi-Sonic Trance Banjo! 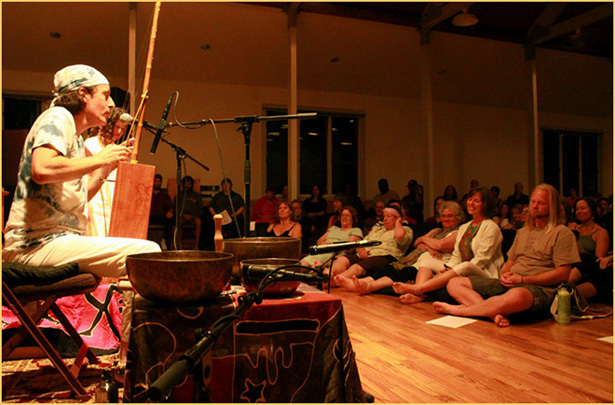 Rich Goodhart is an internationally recognized and respected world music multi-instrumentalist, composer, recording artist, gifted Master Shamanic Sound Healing practitioner, and core instructor on the Omega Institute faculty. 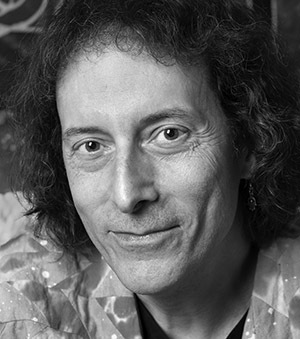 He is a Qigong and Tai Chi instructor, has authored two books, and has composed, produced, arranged, and engineered seven albums of progressive world music.